The SAS Rage is economically priced compound bow typically on retail for under $200. The bow offers draw weights up to 70 pounds. It has earned itself a great rating from very happy Amazon customers with many reviews to reference. 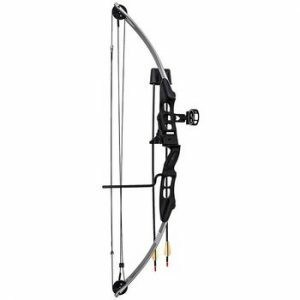 Many of them recommend this product and are incredibly happy with the price but do want to warn that this is not an entry level bow. It is important to ensure that you have the strength built up to handle the 55 to 70 pounds of draw strength that this unit offers. Customers are happy with the aesthetic appeal as well as the fast shipping time. Customers who were unsatisfied with the bow often mentioned that their string broke on the first pull. Draw Length: 25" - 31"
Draw Weight: 55 - 70 lbs. This hunting bow is designed to accommodate young hunters to adults. It has a variable draw weight from 5 to 70 pounds and the draw length can range from 12 to 30 inches. This is not a cheap unit, ringing in at just under $400 but it has earned itself almost perfect reviews from several past customers. Every customer, young and old, has said that this bow is high quality and a great unit to grow with. It has been purchased for beginners and intermediate level archers, all of which have been happy with what the package offers. Max-Preload Quad Limbs for proven power. This is one of the best bangs for your buck. SAS states that their CNC machined twin cams will ensure that this bow is one of the smoothest shots ever. The package comes with everything you need for hunting and target shooting. The package has earned a great rating with all of its customers saying that they are incredibly happy with the quality. Their only real complaint is that they found the instructions hard to follow. Customers indicate that this is an ideal package for beginners and intermediate level shooters and it can be adjusted so that the draw weight is less than 55 pounds for those shooters who haven’t built up their strength yet. This bow is ideal for children ages 8 and up. It has an adjustable draw weight of 15 to 25 pounds and a draw length range of 13.5 to 19. Pricing ranges depending on color choices. Every option is for right handed applications. Customers are quite happy with this bow, granting it a 4.3-star rating on Amazon.com with 64% of customers giving it 5.0 stars. 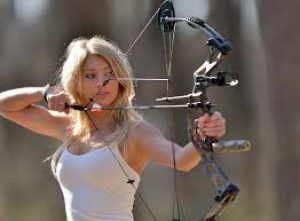 The unsatisfied customers indicate that the bow is not powerful enough for actual target practice and should be used to teach the fundamentals of archery but nothing more, especially not introducing them to bow hunting. Many children have had issues drawing the bow. This bow is a steal of a deal. It has a draw length of 28” and weighs 2.15 pounds. 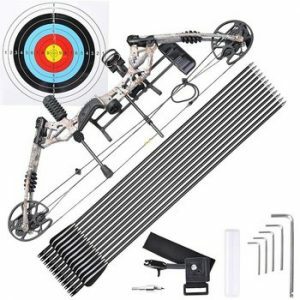 It comes with a number of accessories including; 2 fiberglass arrows, quiver, armguard, finger tab, arrow rest and sight. These add-ons alone are a $35 value. All of the reviews state that this is an ideal bow for beginning archers. It’s important to remember that not all compound bows are suitable for hunting. You need to ensure that the bow you do end up choosing has the proper draw weight so that when you do hunt, you’re hunting humanely. Nothing gets me more upset than seeing an animal die inhumanely because of uneducated ‘wannabe’ hunters. 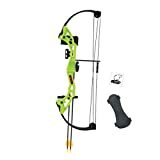 It’s also important to ensure that you have the proper accessories for your hunting compound bow including hunting arrows and in my opinion, a single pin bow sight which will allow hunting with accuracy. 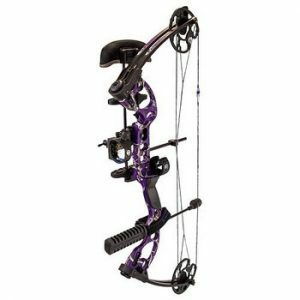 Move over boys, we are taking a look at the best compound bows that are available to women and younger girls. These aesthetically pleasing pieces of hunting and targeting equipment are designed for durability and meant to last. Whether your little girl wants to learn to shoot like Katniss Everdeen or perhaps you are looking for your own ladies-only bow, the following selection of compound bows is a wonderful place to start looking. We have found high-quality products to compliment any budget so take a peek and get ready to start hitting that bulls-eye! 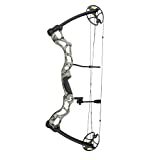 This bow is specifically designed to accommodate smaller-framed shooters to use through into their adulthood. This fully adjustable unit has a draw length range from 13 to 30 inches and an adjustable draw weight ranging from 5 to 70 pounds. 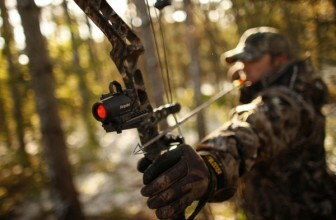 These features make the bow ideal for hunters or target shooters of all skill sets. 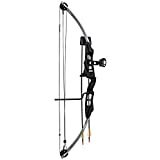 This left-handed package includes the bow, a 3 pin sight, a hostage XL arrow rest, an octane deadlock lite quiver, tube peep sight and BCY string loop making its price incredibly reasonable. This package has earned itself a well-deserved and almost perfect rating from customers who are claiming that this is the best bow they have ever purchased. Customers are pleased with the quality and the flexibility of the draw strength which allows them to pass the bow down from mother to daughter. 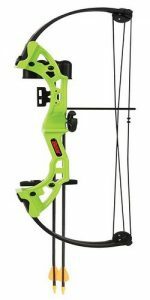 This set is a perfect children’s beginner compound bow that is set to 18 pounds of draw strength. The handle is meant to be ambidextrous and is reinforced for durability. Included are finger rollers, adjustable pin sight, and 2 arrows. In addition to this perfect little beginner’s package, this Barnett product has a limited five-year manufacturer’s warranty against defects in materials and workmanship. This exceptionally cost-effective children’s beginners’ bow comes in at an extremely reasonable price and has earned fantastic reviews. Some customers have had issues with the string coming off the bow, but Barnett’s customer service is quick and friendly and they have replaced any defects immediately. For anyone looking to introduce their little boys or girls to archery, this is an ideal product. It comes in a variety of colors to suit most children. The Quest Radical RH Package is an elegant product that features a forged 6061 aluminum riser with an aesthetically pleasing purple finish. The variable draw length ranges from 17.5 to 30 inches and an adjustable draw weight ranges between 15 and 70 pounds. The package includes a string suppressor, 6 arrow head-lock quiver, halo rest, stabilizer, wrist sling, peep and a tool-less 4-pin sight. The package has earned solid reviews overall on Amazon. Customers who were unsatisfied indicated that they were happy with the product but unsatisfied with the customer service from the company. All other customers were extremely satisfied with the quality, value and aesthetic appeal. No matter if you’re looking for a compound bow for an experienced bow hunter or a toy for a little girl, one of the three compound bows will certainly do the trick. Unlike many other sports, females are not uncommon in archery. Even the ancient Greek and Roman Gods portrayed strong female Goddesses of the hunt like Diana and Artemis. These famous females are well known for their portrayal of having a quiver, bow, and arrows by their sides as they stand with their hunting dogs or prey. By the mid-1800’s, archery was a popular sport and was considered a valuable teaching tool for manual dexterity. British royalty, including Queen Victoria, often practiced archery and it was not uncommon to see many women participating alongside men in organized competitive archery tournaments. Susan Pevensie: Susan is the second oldest sibling in the Chronicles of Narnia books and films. When she was 12 years old she was given a bow and arrows from Father Christmas and is soon using her archery skills in battle. Neytiri: This Na’vi princess in Avatar is the main character’s love interest. Elektra Natchios: Jennifer Garner played superhero Elektra in 2005. This character was based on a comic-book and is an international assassin. Although her trademark weapon is a sai, she does demonstrate her archery skills using a compound bow in the film. Abigail Whistler: In the 2004 Blade: Trinity release, Jessica Biel played a vampire hunter whose go-to weapon of choice was a compound bow. Isabel: In 2011 Your Highness was released. In this medieval comedy, Natalie Portman played Isabel. This female archer joins forces with brothers Fabious and Thadeous after rescuing them at the beginning of the movie. Princess Merida: In true independent princes’ style, the main character of Brave challenges her less than desirable suitors to an archery contest in order to win her hand in marriage. Needless to say, she blows them away. Katniss Everdeen: One of the most popular female archers of our popular culture generation would have to be the star of The Hunger Games trilogy. She is an accomplished hunter and then turns those archery skills to her survival and self-defense. Performance vs. Pricing:- Before you start your journey to choosing an economical compound bow you need to understand that you can’t have it all. There will be no one bow that encompasses every single aspect you are seeking. More often than not archers want blazing fast performance with a silky smooth draw stroke. They want low hand shock and a high let off. Archers also desire lightweight bows that are compact, attractive, forgiving, quiet, easy to use and adjust and affordable. This perfect bow just does not exist and you will have to give up some less desirable characteristics in lieu of your priorities. 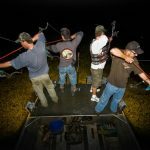 The Big Budget Bows:- If you have an unlimited archery budget, which so few of us do, you will not have to worry about the specifics. You can simply purchase a company’s “flagship” bow. This is their highest quality model with all the bells and whistles, they will have the latest bells and whistles, best performance ratings, best graphics and more. Of course, you will have to expect to spend over $1000 for just the bare bow. These bows are representative of the best of the best. 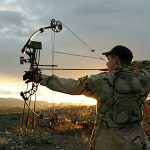 Compound Bow Production Costs:- Moving on from the top of the line bows, let’s dive into what it actually costs to provide you with a compound bow. After the bow is designed, the production process is long before a finished product is ready for purchase. Aluminum parts are carefully shaped using a combination of casting, machining/milling, and forging. After that is done, those parts will have to be anodized, film-dipped or deburred. Some of the parts will get tapped or drilled. Hardware like grips, brackets, and others have to be fabricated and finished. Once all of that is done, every bow will require strings, bearings, bushings, graphics, rollers and more. Once all of this has been made, someone has to put the bow together and test it. This process takes several months. A basic compound bow production cost will be approximately $150 US per unit but is usually higher. Finishing and Camouflage:- Once a bow is manufactured, bow companies will pay royalties on that popular camo finish that most bowhunters are so fond of. These patterns are not free to use. The creators of those patterns receive royalties for the use of their product and these royalties are not cheap. This brings up a dilemma for manufacturers. 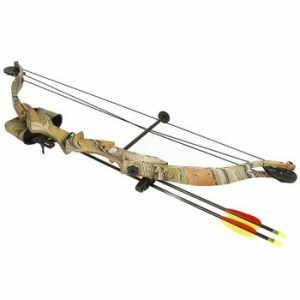 The fact is that off-printed camo indicates to a customer that the bow is cheap yet bow producers want to keep costs low. Most bow manufacturers deal with this by offering variety, both the expensive camouflage as well as custom colors and patterns. 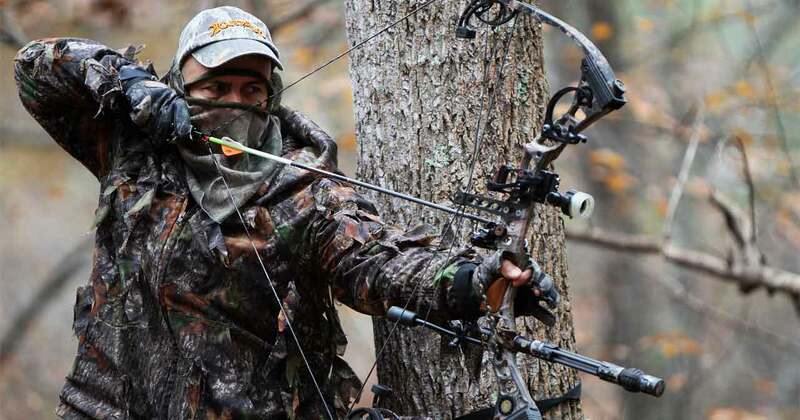 The Lowdown on Bow Pricing:- Depending on the number of operations and assemblies as well as the bow complexity and pattern, a run of the mill compound bow will cost between $150 and $300 per unit to produce. This cost can increase with longer risers and complex designs. This is an important fact to keep in mind when you are staring at that $500 price tag and thinking it is a little ridiculous. A $500 bow is not out of line at all. 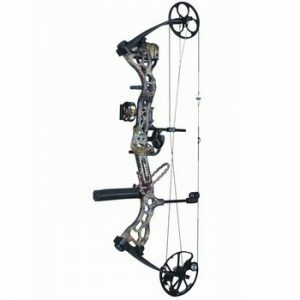 When you are in the market for a new compound bow, it can be quite overwhelming when you are faced with a large number of options available to you. Archery is no longer a primitive hunting sport. It has transformed into a modern technical sport with a multitude of brands showing off their latest and greatest creations. Bows vary between which activity they are meant for and come with multiple options to meet varying needs. This compound bow kit comes with 12 carbon arrows. 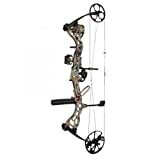 It is a right handed bow that has a fully adjustable draw weight and length. Its aluminum allows riders boast a high intensity and the product comes with a stainless steel cable guard, string silencer, and peephole. Customers say that it is worth every penny according to its 4.7-star review on Amazon.com. Not a single customer has rated this bow under 4 stars and complaints are rare. Customer state that the packaging, shipping and delivery time is outstanding and the assembly was easy with quality instructions. The bow provided tight groupings and the power adjustments were easy. 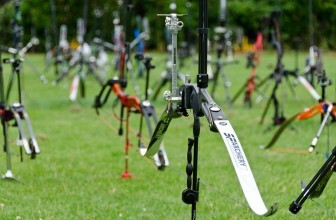 Customers were also impressed with the velocity and the mid-range quality of the arrows. 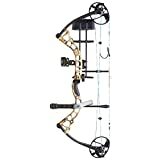 Material: Aluminum alloy, fiberglass, carbon fiber; Brace height: 8"; Arrow length: 30"; Draw Lengths: 17" - 29"
The Diamond Archery Bow Package comes with an infinite edge pro bow, 3-pin tundra sight, Hostage XL arrow rest, Deadlock lite octane quiver, tube peep sight, BCY string loop, comfort wrist sling and a 5-inch ultra-lite octane stabilizer. The bow has unlimited draw settings, a solid back wall and extended draw length for longer draw archers. The package boasts a 4.6-star rating on Amazon.com. Customers are extremely satisfied with the quality and make claims that this unit can be used for all ages. Hopefully, this will help you in determining which compound bow is right for you. No matter which boy you are choosing and for what application, remember to enjoy yourself! Compound archery is a skilled and rewarding hobby but it requires practice and skill development. As with any hobby, practice makes perfect. Soon you will progress from paper targets to 3D targeting to creeping through the woods targeting your very first prey animal. If you’re someone who is new to the sport of archery, ensuring you have the best beginner compound bow for you is extremely important. Increasingly important is when you’re not even sure if the sport is for you; instead, do your research and find a bow which is designed for the beginner. Finding the best compound bow for a beginner is actually easier than you might think; if of course, you know what to look for. In the below article, we’ll go over all of the different archery components which important to consider of a beginner and take a closer look at our FAVORITE beginner compound bows. What Makes The Best Beginner Compound Bow? Whenever you make a purchase, you obviously want it to be perfect but in reality, when buying your first compound bow, you’ll want to consider at least a reasonable budget and instead wait for a higher-performance model once you have a bit more experience. Ultimately, you want your first bow to be solid and be adjustable enough to grow with your experience level. Many of the absolute best compound bows will cost you over $500 although there are some great finds at the $400 level as well. Beginner compound bows, however, are much more affordable but make no mistake; these are not toys and if being purchased for any youngsters should be used with both caution and supervision. What type of FPS (Feet Per Second) Should I Consider? Compound bows much like recurve bows are ultimately no more than a slingshot. Despite their fancy technologies and special accessories, they are ultimately ancient in design. When considering the level of speed you want from a beginner compound bow, it’s best to remember a simple rule which is the faster the bow shoots, the more difficult the bow is too draw. This ultimately means that beginner bows will not shoot as fast as some of the more higher-end models but they will be easier overall to shoot. I typically recommend that beginners should stick below advertised speeds of 330 FPS. Anything above this speed and it will become increasingly difficult to both aim and shoot the bow. What’s the Ideal Draw Weight for a Beginner’s Compound Bow? Draw weight is extremely important and is obviously touched on above as it’s closely related to FPS. It really depends on who the compound bow is for as a youth will require a much lower draw weight than say a full grown male. You’ll have to decide on the peak draw weight before you make the purchase and you’ll typically have to choose either a 50, 60 or a 70lbs compound bow for adults. For small children and younger youth, I suggest a draw weight no larger than 25lbs. For woman and teenagers, I generally recommend a draw weight between 30 and 50 lbs while males are 50 – 70lbs. For beginners, I always like to adjust by recommending a bow on the lowest end of the recommended draw weights to ensure it’s not too much of a challenge. As your strength and accuracy improve, you’ll notice a big difference in the amount of weight you can pull. Keep in mind that the first bow you buy will not be the last bow you buy so after a little bit of practice you can consider upgrading to a sturdier bow. If you’re considering using your beginner compound bow for hunting, don’t worry too much about really upping the draw weight when you’re thinking. Ensure however that you do have a draw weight of at least 50lbs as that will generally provide enough kinetic energy to take down your prey. It’s more important instead to have the accuracy to ensure you can hit your target in the most effective area and take down your prey humanely. Diamond bows are made by Bowtech which for those new to the industry, is well regarded as one of the top manufacturers in the industry. 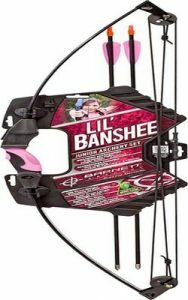 If you’re looking for a bow for a young person, a youth or a female, this is my favorite option for you. And at the same time, there is nothing wrong with an adult male using this bow with the proper settings. I really like all of the adjustability options that come with this particular compound bow. With the help of a bow press (see your local bow shop) you can adjust the draw weight from 5 pounds all the way up to 50 lbs! This particular bow maxes out at about 310 FPS which is set with a draw weight of 70 lbs. With a lighter draw weight, you’ll obviously get a lower FPS. But for a young archer learning the craft, this isn’t an issue because speed really isn’t important. Instead, you want to focus on accuracy and above all proper form. With proper form and practice, everything else will fall into place. 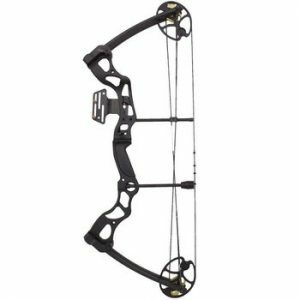 I really like this bow overall and is likely my recommended choice for the youth looking for a compound bow. Everything from design, to craftsmanship, all the way to the noise level and vibrations are fantastic. Consider adding a bow sight or hunting arrows with your purchase as well. A great compound bow for beginners with an advertised speed of 310 FPS, we really like the features of this bow that lends itself well to beginners. The package contains the bow along with a printed manual and warranty card. If you want to upgrade the bow with some accessories such as an arrow rest or bow sight, you’ll have to buy that separately . 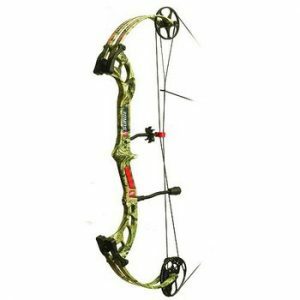 The Attitude compound bow has an IBO speed rating of 310 FPS which is perfect for a beginner. With this power, it will compensate as well for minor adjustments in target distance. This is extremely important if you intend to hunt with this particular compound bow. The cam system used is Bear’s EZ3 single cam system with rotating modules. This enables the archer to adjust draw length in 1/2 inch increments which is again ideal if you plan on doing some bow hunting as it will allow you to adjust easily especially if you’re using a single pin bow sight. Great value for your money, it will provide long-term value for the budget orientated user. Also, for a beginner compound bow, I never like to recommend anything too expensive in case you find the sport isn’t something you’re interested in keeping up with. Bear flared quad limbs for lethal, well controlled power. Smooth single EZ3 cam system with rotating module. Adjustable draw lengths in &frac;-inch increments. All things considered for the price, there is no doubt why it’s so popular for beginners as it’s ready to go right out of the box. The listed IBO speed rating is 320 FPS which is again right in the sweet spot range that we really like to see. From an adjustments perspective, it’s a great bow as well as you have a number of adjustments which can be made. The PSE Surge features tuneable limb bolts that turn 12 turns which compared to standard bows that allow for 4 turns will allow you to grow and improve while still fitting within your bow. Correct Stance: In general, you should be facing your intended target at about a 45-degree angle while holding your feet apart around shoulder length apart with your toes pointing toward the target. Get a Grip: It is important that you grip your bow with a closed, relaxed hand. If you can’t get this grip just right, you can also try a wrist sling with an open bow hand. 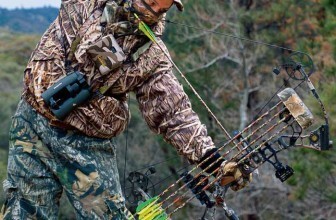 The sling will tie your bow to your hand so that it won’t fall during the shot. One thing to consider for hunting applications is that a wrist sling is inconvenient if you need to quickly shoot but accuracy is more important. Drawing your Bow: Your bow arm should be extended toward your intended target and the string should be pulled back in your fingers. Most often, you will use your index finger above the arrow and the following two fingers below. Pull the string back to your face holding the bow steady. Ensure that your draw strength is one you can handle, you will build up your shooting muscles with practice. Do not sacrifice accuracy by shooting a bow that is too heavy for you. Anchoring Yourself: Your string is drawn, so lock your string hand on the side of your face. This is what anchoring means. A right-handed archer would anchor on the right side of their face with the right eye sitting behind the string. Aiming: This will depend on if you are using a sight or not. In general, sights are more accurate and some even have laser rangefinders. Raise your bow toward your intended target. Train yourself to take consistent shots. Always raise your bow the same way, ensure you are making smooth, non-jerky movements, take your time, hold your place on target for a couple of seconds and release the arrow. The Release: Release the string smoothly without flinching or jerking. Following Through: This is probably the most overlooked step to accurate shooting and practice. After you have released your arrow it is important to keep aiming until your arrow makes contact with its target. The more practice and consistency you get, the more natural shooting a bow will feel. When you make it out to the woods during hunting season, your bow should feel as though it’s a part of you. You will raise it almost unconsciously when you spot your target. Take advantage of the off-season by performing slow, deliberate step-by-step practice to ensure that you are committing proper form to muscle memory. Step: Form a triangle with your thumbs and forefingers and stretch your arms out in front of you. Step Look through the triangle and center in on an object, like a picture or doorknob. Ensure that you are keeping both eyes open. Did you notice that the object will stay put with one of the eyes but will jump with the other? Your dominant eye will keep the object centered in the triangle you created with your fingers. Step: Measure your arm span. Standing up straight you will hold both arms and hands extended forming a “T”. Measure the tip of your middle finger to the tip of the other one. You will most likely need a friend to help you with this. Step: Divide that number by 2.5. This will estimate your draw length. Axle Length: This is the length between the wheel-like axles that are attached to the bow’s tips. It is important to accommodate the type of shooting you will be doing. A longer axle to axle length is more forgiving then you are attempting to take a long shot but if you are constrained on space it will be hard to maneuver. Draw Weight: This is a measure of how many pounds you can draw. Many people will start with a lower poundage bow if they have never drawn one before. As you practice and improve, your shooting muscles will develop. It is not uncommon to find a bow that offers an adjustable draw length and weight.